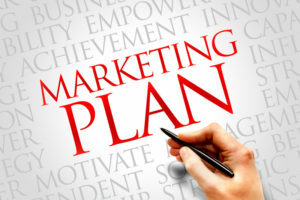 Marketing Your St Louis Business in 2016 - Do You Have a Plan? Marketing Your St Louis Business in 2016 – Do You Have a Plan? The St. Louis business economy is robust and diverse, and this year’s steady growth is expected to continue into 2016. With such a positive economic forecast, many business leaders are working on ambitious goals. You’ve probably already done a lot of planning and strategizing for 2016’s business improvements yourself. Perhaps you’re unveiling a new product that you’ve been perfecting for months, or perhaps the new year is the right time to finally move forward with a revamped marketing strategy that will give you an edge over the competition. If these are the kinds of goals on your agenda, you’ll undoubtedly be looking for a professional printer. Luckily, printing in St. Louis is going strong, with professional and experienced printers who know what it takes to create brochures and other print media that grab—and keep—customer attention. With such steady economic growth, 2016 will see a rise in unique business printing needs that include powerful marketing tactics for outreach to local consumers, other businesses, and potential partners. Because brochures offer the versatility that businesses need to meet their marketing goals, flexibility in design, and the ability to convey detailed information in a convenient takeaway, brochures are becoming a frontrunner in St. Louis business-printing trends. The end result? You have the ability to streamline your sales process to sell more in less time. Humans are visual creatures, and we’re naturally drawn to trade-show exhibits that are brightly illuminated by colorful banners, flags, and digital signs. Once you attract a potential client to your display, you have a short period of time—only about 60 seconds—to capture his interest and convince him to learn more about your products or services. Brochures are the most pointed and effective way of achieving this. When printed on quality paper stock with glossy photos and focused content, brochures can serve as a visual aid that the customer retains, and can act as a guide to help your representatives touch on only the most compelling facts and ideas. Your trade-show visitors might not remember everything your representatives touched on, but they will have all of the information in a convenient and portable format. Include your contact information, website URL, and social media contacts, so that prospective clients will be able to easily reach you for additional questions or to place an order. Make the customer’s decision to buy an easy one. Of course, there are products that some consumers will pick up on a whim, and then there are products that most consumers want to put a little more thought into purchasing. The customers who need the time to make well-researched decisions will undoubtedly compare your products to those products offered by your competitors. Do the research for your customers beforehand so they can buy now instead of later: include product specs and honest comparative information that shows why your product is the best choice. Keep in mind the factors that will likely be a major concern for almost all buyers, like lifetime value and budget. Even if your product is not the lowest-priced one on the market, you’ve priced your product fairly, so touch on it the overall value and quality compared to others. A well-designed brochure will have salient content that anticipates the buyer’s needs. Look into feedback that you’ve received from past customers and think about questions that other prospective clients have asked, and then incorporate the answers to those questions in your brochure. When a customer tells you that they need to think about something before committing, send them home with detailed literature that will help them complete their research. Be specific about the exact benefits customers will receive. Show how your unique design or approach sets apart your product from everything else in the market. Incorporate attractive images that show your products in use, or offer clear detail. Include statistics from any polls, studies, or research projects that you have conducted, or from relevant third-party projects. 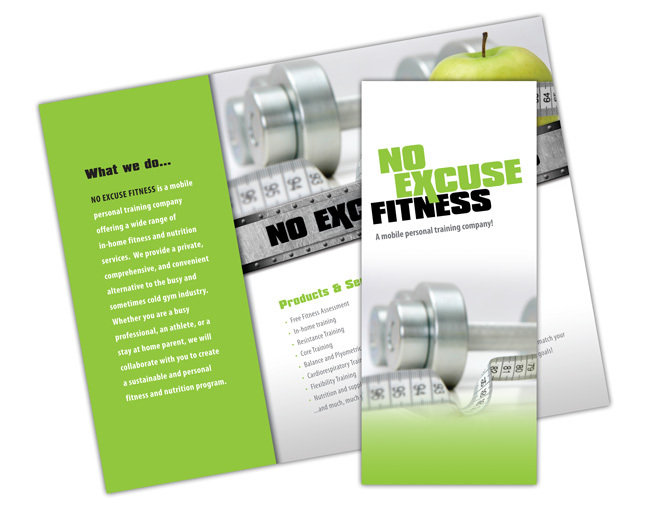 With right content and layout, a professional printer can take your brochures to the next level. Because of the importance of quality, finding a printer in the St. Louis area is one of the first and most important decisions you’ll make this year. Quality paper and the ability to utilize eye-catching options, like high-gloss paper and rich, impactful colors will be the difference in how effective your brochure is. Integrated multi-media marketing is the future: you must take advantage of social media, buy ad space in magazines, and even on local radio stations. But to really generate buzz about an event, distribute flyers and brochures throughout your community. There is a variety of ways to design a brochure so that it is customized and tailored to fit your marketing method and target audiences. In this case, easy-to-scan informational brochures are most appropriate. Whether you are advertising a new product launch or a grand opening, you’ll want to include critical details, like the date and location, and what benefits your audience will receive from attending. Businesses have been utilizing the low-cost, high-yield benefits of EDDM (Every Door Direct Mail) for quite some time. The good news? It’s incredibly effective. The challenge? Standing out. Talk to your printer about the best dimensions for standing out in an overcrowded mailbox. Your printer should be able to discuss the right options for your needs, including thickness, gloss, size, and color. Use images that are attractive and sparing text that delivers valuable information. Include a clear call to action that tells the visitor what you want them to do next, whether that’s to come in to a storefront or check out deals online. As you look forward to growing your business, launching new products, and expanding your marketing strategy this year, you’ll want to see a high ROI (Return On Investment) on your efforts. Brochures are a big trend this year: you have the right content, you have the right strategy, but the quality of the paper and the printer will have a big impact on your marketing success. You have big plans for 2016, and printing is a powerful tool to help you achieve your goals.